What is Halloween without monsters?? 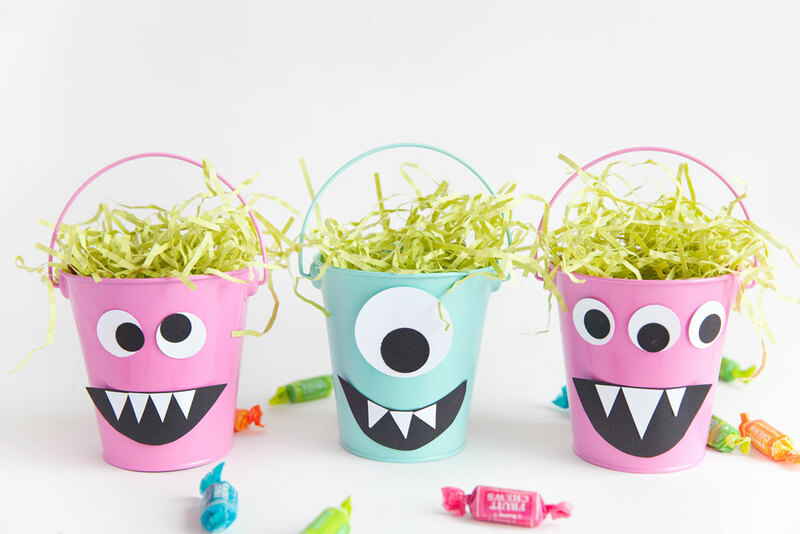 Or should I say…monster candy buckets? 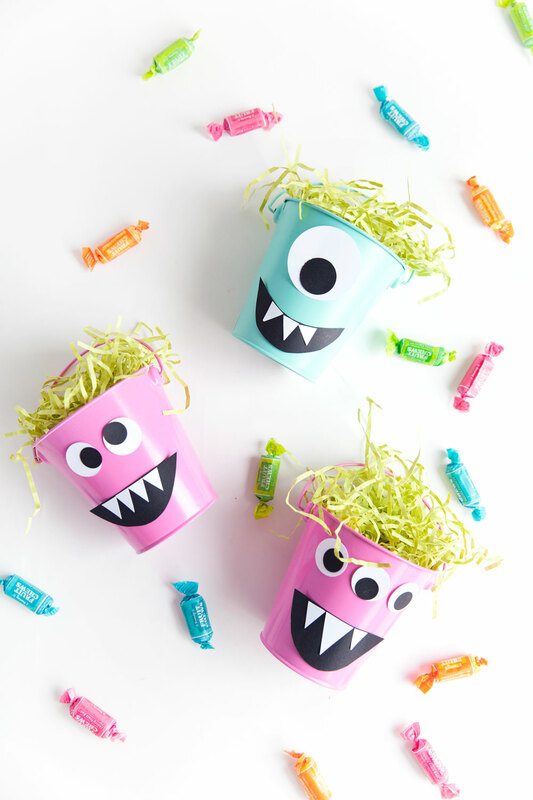 These silly monsters are perfect as a treat bag (bucket) for any upcoming Halloween party, or something fun to give to the kids. 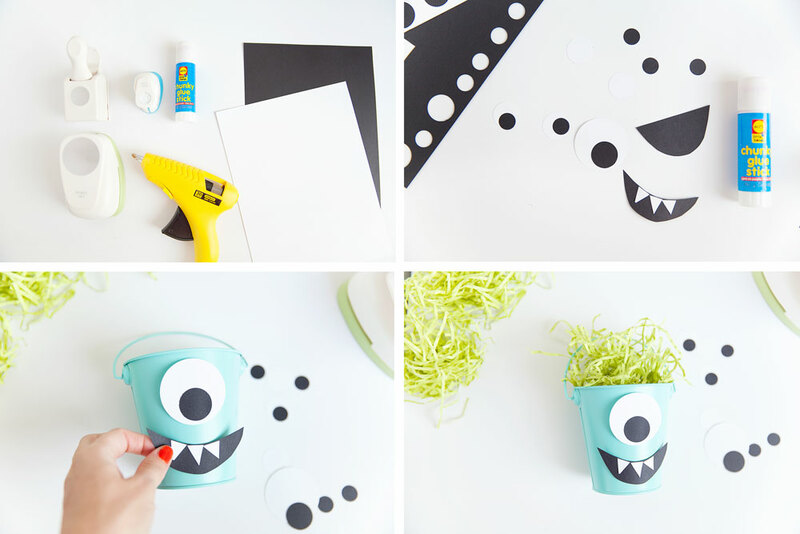 They are incredibly simple to make and you can get so creative with each monster face. 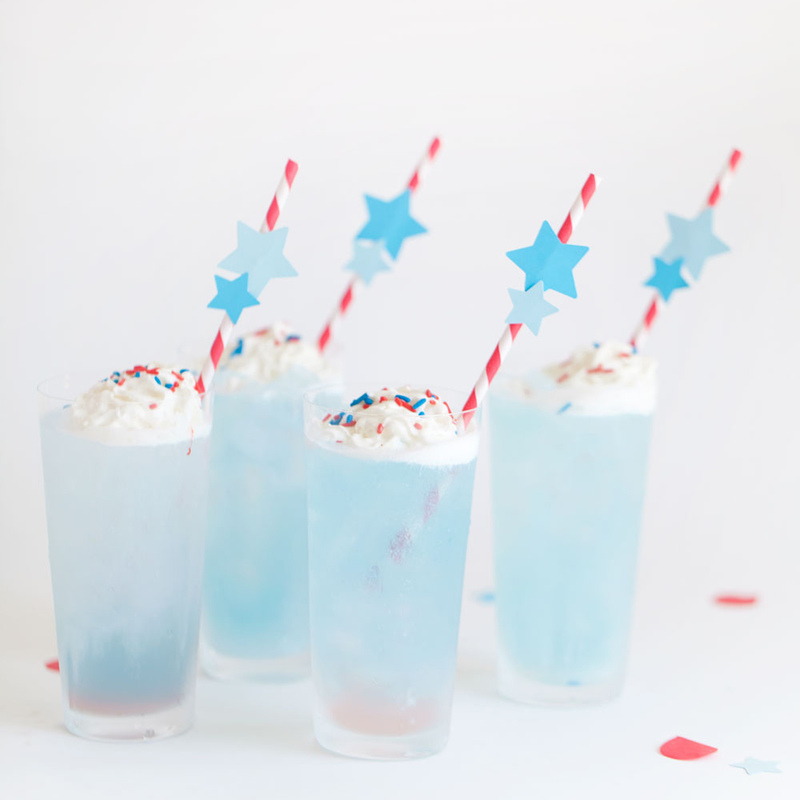 Plus they are just plain cute! -Pumch out different sizes of white and black circles. Depending on what eyes and how many you want. 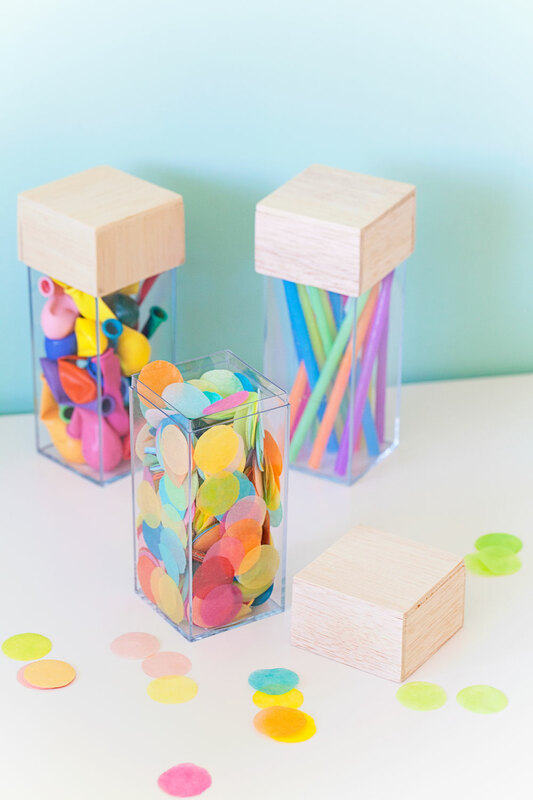 -Cut out mouths and teeth and glue everything together with a glue stick. -Hot glue onto the bucket. 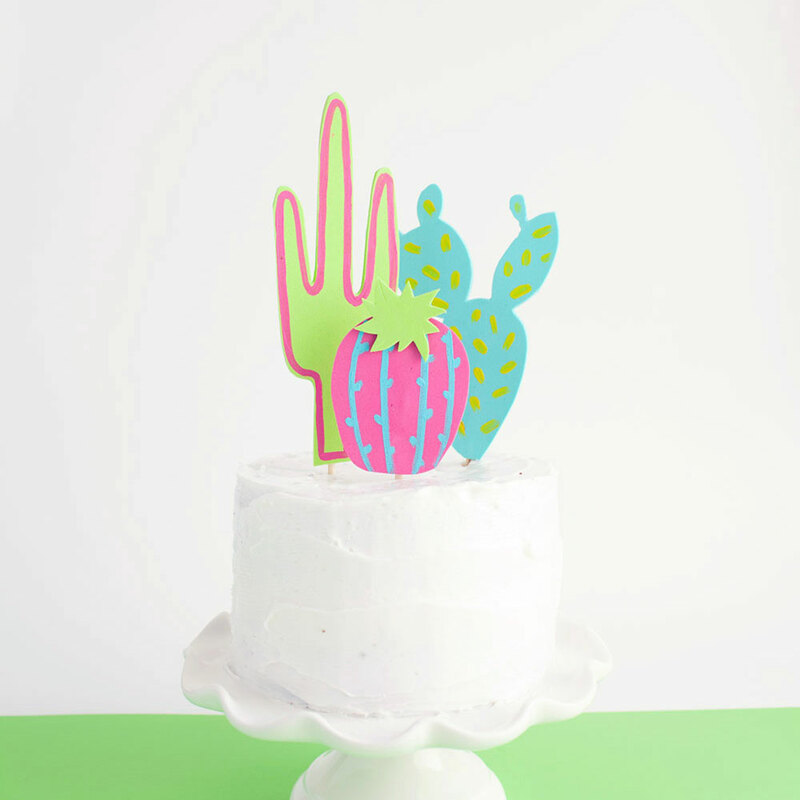 -Stuff with crazy paper stuffing to give your monster some wild hair. That is just super cute! 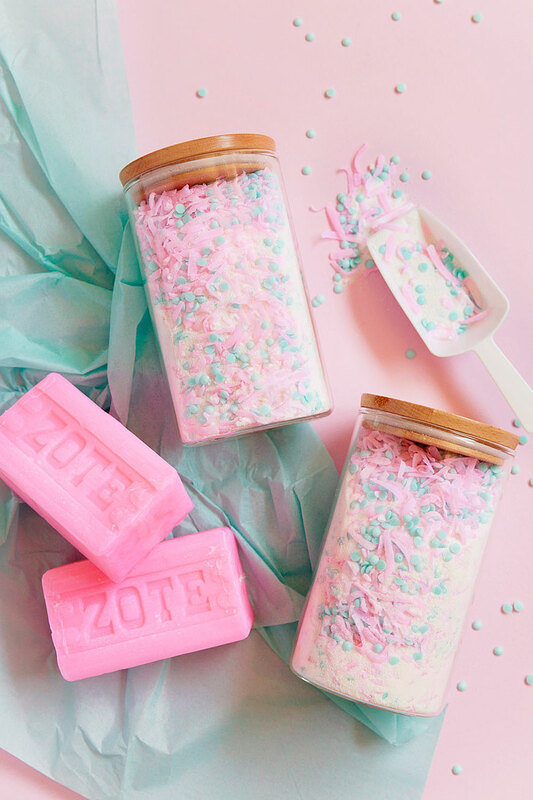 Thanks for this DIY! 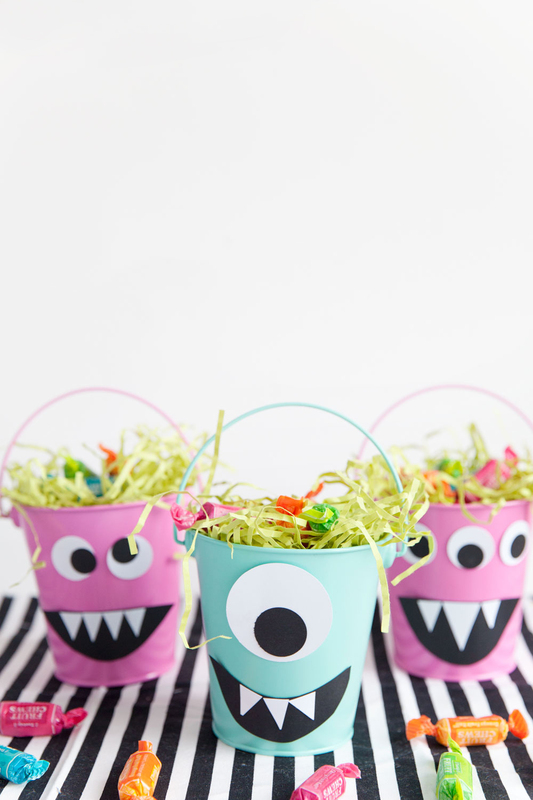 These buckets are so fun and cute! You did an awesome job!